Ubisoft struck gold with their previous entry into the Assassin’s Creed franchise, making Origins not only a fantastically flushed out experience from the same team who brought us the incredible Black Flag, but they redefined the genre by introducing a loot system, multiple weapon styles, a deeper crafting and economy mechanic, as well as revamping the controls to fit a more typical RPG style that makes blocking and dodging vital to success. 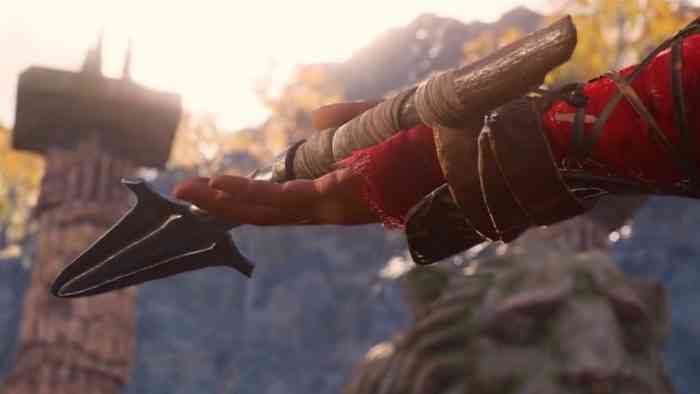 Seeing it as the halfway point to their dream of a fully realized RPG experience for the genre, we are now only a few months away from what looks to be Ubisoft’s most ambitious entry yet: Assassin’s Creed Odyssey. The internet has been buzzing since E3 about all the new features coming to Assassin’s Creed, so we thought we would take the time to outline them here in one place so you can see why we are just as hyped as you are for this literally game-changing entry. Here are 8 all new features to redefine Assassin’s Creed Odyssey. 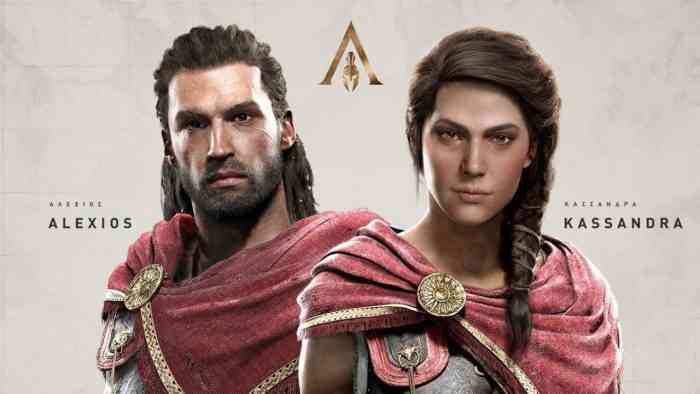 As opposed to the system of swapping between Jacob and Evie Frye as seen in Assassin’s Creed Syndicate, Odyssey will feature the entire length of the game playable as Alexios or Kassandra; one or the other. This decision is said to have very little – if any – effect on the narrative of the game and will have no effect on the gameplay or abilities players will unlock. Both characters will follow the plot of being the descendant of King Leonidas, and both are poised to be total badasses. 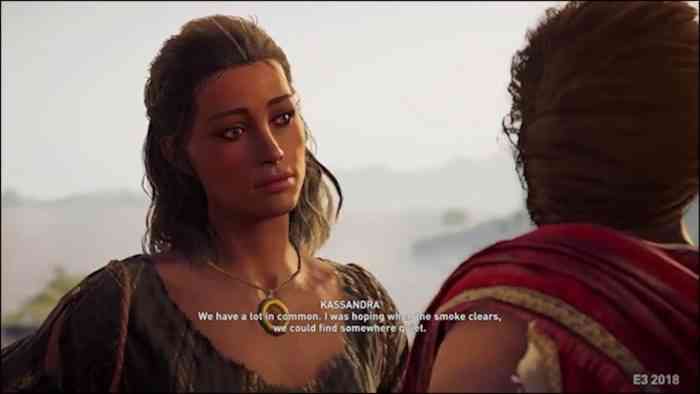 Including the option for players to tackle the game as either character is just one of many options implemented to reinforce the idea of choice for the player, although from the sounds of things it looks like Kassandra is going to be the favorite. Much like the beloved and critically acclaimed Mass Effect series, romance looks to be a predominant and potentially story-altering feature added to Odyssey. While we have only seen a glimpse of some of the romantic possibilities, it’s clear that your actions will have a very real consequence on the warring forces at hand. 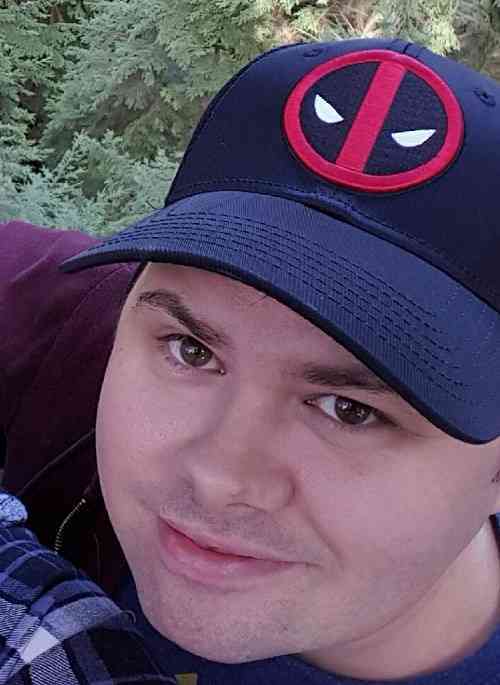 From a secret one night stand to stealing away a general’s wife, whatever romantic pursuits you follow will alter the landscape of who you call friend or foe. We do not know yet how many romantic options there will be or just how in depth the system will go, but we hope it will lead to some drastic narrative decisions down the road. AC Origins gave us a glimpse at how the Hidden Ones formed and later evolved into the Assassins. Since Odyssey is set before Origins, the Assassins brotherhood and their iconic hidden blade are nowhere to be found. In lieu of this marvellous stealth weapon, your chosen hero will instead wield their birthright: the broken Spear of Leonidas. Keeping it in hand for some brutal attacks, the spear can be used for all manner of impressive abilities and brutal new stealth kills including throwing it into an unwary enemy’s back and rushing them to finish the job, or stabbing it through their back only to pull it out through the chest. While some may find replacing the iconic hidden blade to be an uncomfortable change for the series, the spear of Leonidas is poised to make a huge impact on gameplay with rumors it could be a piece of Eden. The AC series has had its fair share of brilliantly crafted characters and dialogue, but you were always along for the ride to watch the story unfold. 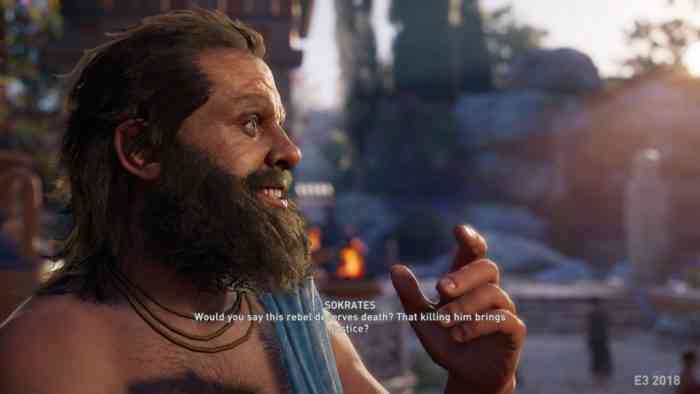 This time around, AC Odyssey will feature multiple dialogue options that not only change your reaction, but they aren’t explicitly good or bad reactions either. Who you tell the truth to and who you lie to will ultimately shape your character and your relationship with the others you encounter. This has been seen most notably in your conversations with Sokrates in several gameplay trailers as you are given the option of admitting a man you went to save was killed by your hand or lying to the legendary philosophers face. How these options will change those around you is yet to be seen, but from the choices we have seen its clear that players will be able to shape their characters personality as they see fit.